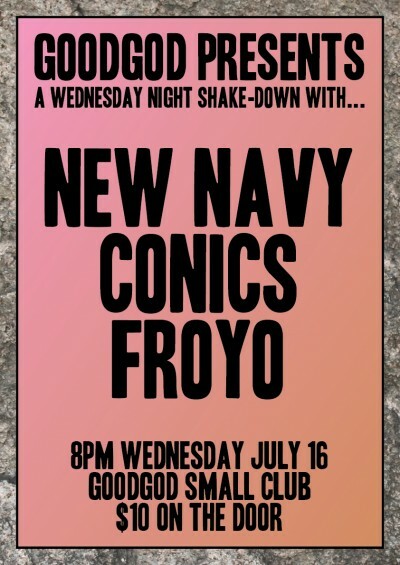 We’re pulling together three of the city’s finest for a schoolnight shakedown, as New Navy, Conics and Froyo team up a Wednesday night show! New Navy return to the Danceteria with their percussion-driven live set, we’ll hear stadium-sized sounds from Creo, and Froyo open with their electronic pop. Perfect combination. Triple treat. Indulge yourself.